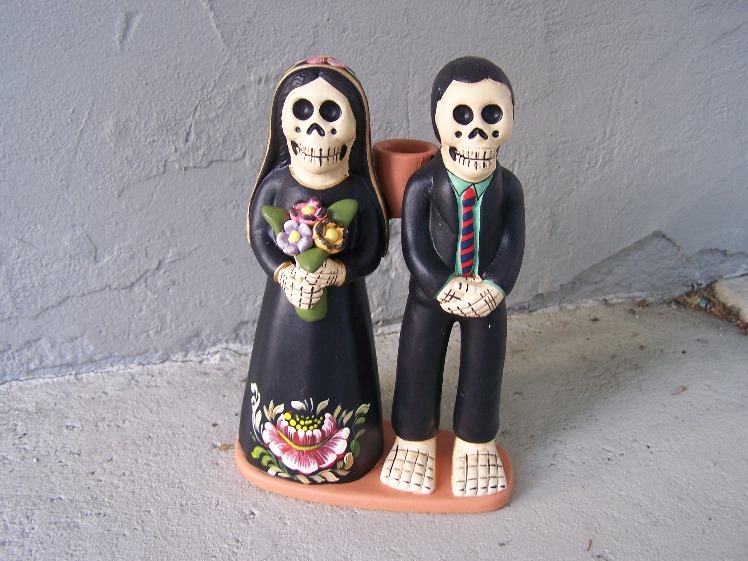 An integral part of Day of the Dead celebrations, sweets in the shape of skulls or skeletons are placed on altars, or ofrendas, to memorialize the dead. 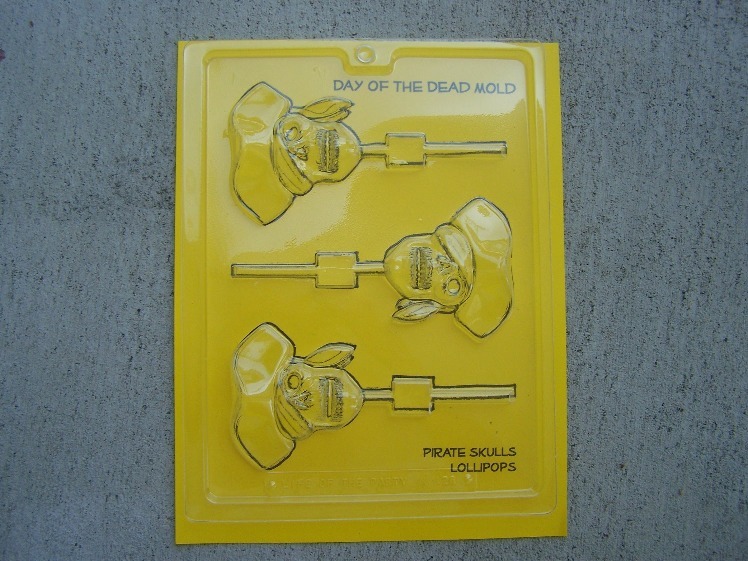 This listing is for a mold to make 3 chocolate lollipops in the shape of a pirate skull. 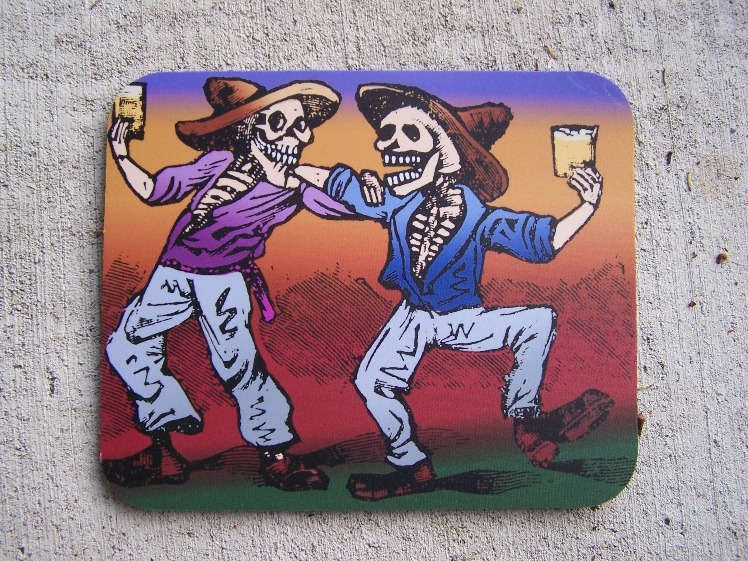 Directions on how to make them are on the back of the mold. 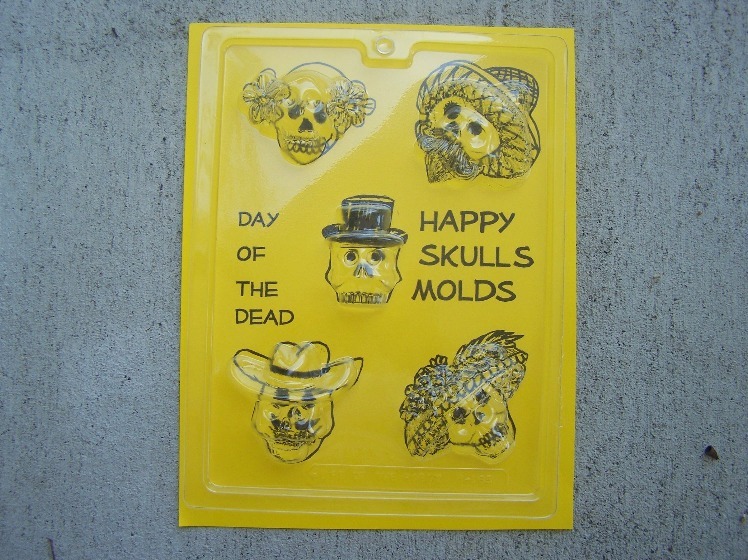 The skull part of the mold itself measures 3″ by 2.75″ and about .75″ thick. 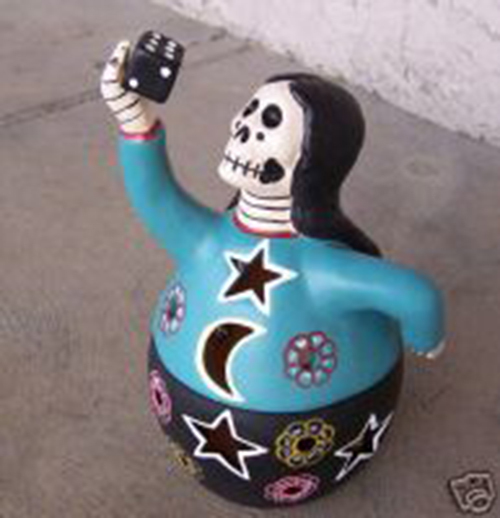 A great craft project!